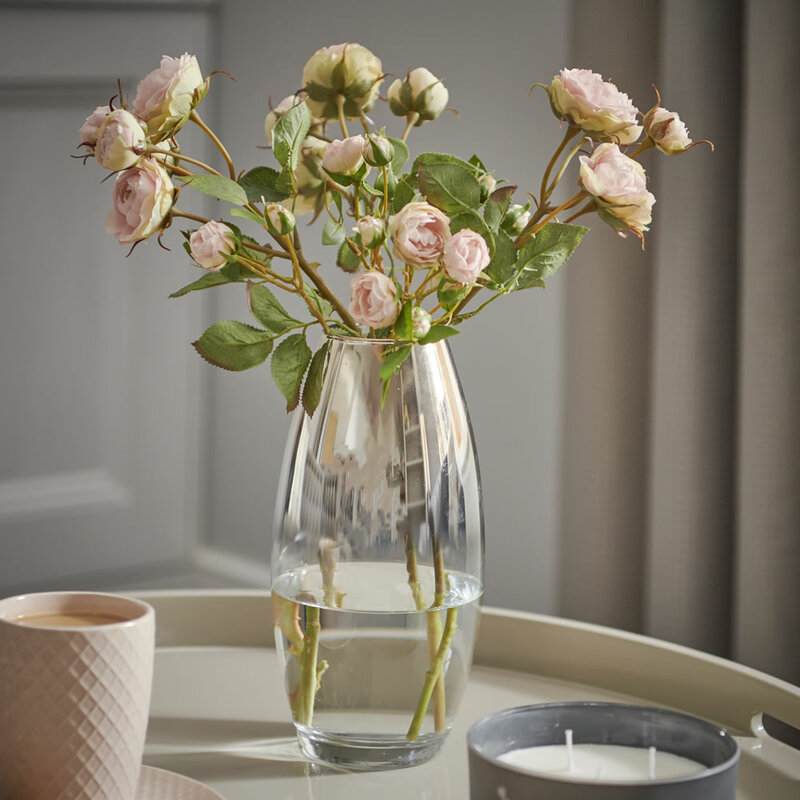 Bring the rose gold home trend to your living space with wilko. Rose gold has recently exploded across the interior design world, but you don’t need to be an expert to get the look, and it doesn’t have to be expensive. Whether you want to pepper your home with a few rose gold accessories or go all out with rose gold wallpaper, you’ll find just what you need at wilko. 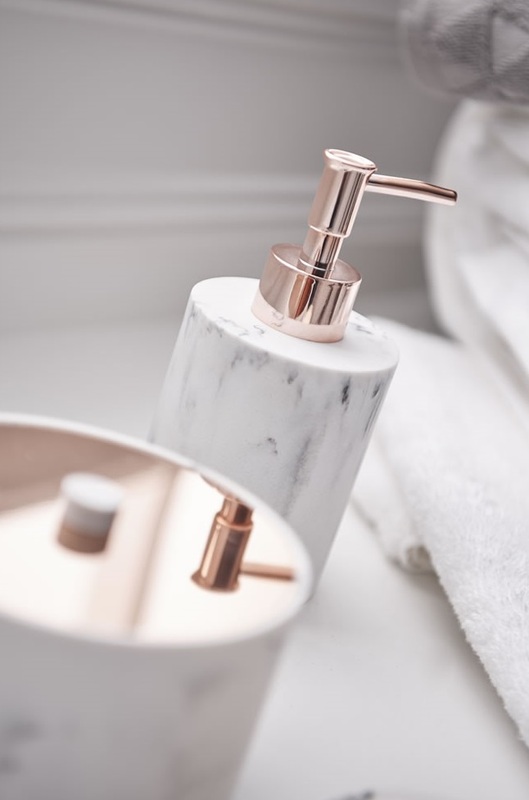 From the bathroom to the bedroom we have a range of rose gold home accessories to style up your living space. The warming rose gold colour is complemented with earthy tones of marble, creating a gorgeous collection. When it comes to freshening up your bathroom, a few accessories go a long way. Co-ordinate your soap dispenser, tumbler, toilet brush holder and mirror for a unified pop of colour. The stylish accessories go perfectly with grey, white and neutral tones. Move that rose gold decor to your bedroom with our tripod lamp. Our rose gold photo frame and rose gold bin are stylish too. All of these accessories will match perfectly with our Textured Triangles Duvet Set, which has hints of pinks and golds. Most of the bedroom accessories mentioned above can be transferred through to the living room. Additionally, our rose gold vase will look perfect on a mantelpiece. If you want to spruce up walls the rose gold way, we have the perfect geo print that’s ideal for creating feature walls. The DIY-friendly Superfresco Easy Wallpaper in Tarek Rose Gold features paste the wall technology, meaning paste can be applied directly to the wall instead of to the paper, which can sometimes get messy. Shop all rose gold wallpaper online. If you have any tired-looking ornaments or you want to upcycle furniture, do it the rose gold way with our rose gold metallic spray paint. It’s quick and easy to use and will add instant colour to neutral spaces. Love rose gold so much you want to take it with you? Then you’ll love our rose gold water bottle. It keeps drinks cold for up to 8 hours. Match that with our rose gold phone case and you’re all set.